the ones you love, can’t give short shrift! 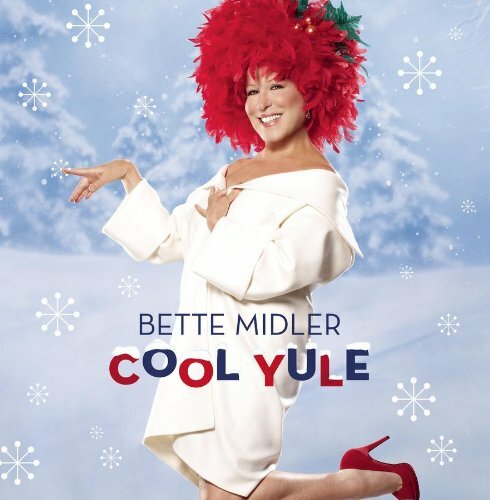 So play it, doll, for the coolest yule!! It was a dark and stormy night…no, that’s not right! Actually, it was a sunny summer day when I finally decided to knuckle down to do a Christmas album. I had recorded “White Christmas” with Barry Manilow, on our tribute to Rosemary Clooney, and it reminded me of how much I love that music, and how much a part of American life those songs had become, even for this Jew. I worked with Robbie Buchanan again (he had played keyboards in the band featured in “The Rose” and was my music director when I went on my only world tour), and we had a great time. He called in wonderful arrangers, including Jonathan Tunick, William Ross, and Patrick Williams, and we tried very hard to achieve a warm, familiar sound…the kind of sound that transports one to a much simpler time. Working with Johnny Mathis was a thrill and a shock. He arrived in a big white fur coat, chewing gum, looking exactly as he has for the last 50 years! I looked older than him!! You can imagine how that white fur flew. And when he opened his mouth, it really was as though time had stood still; the same timbre, the same tone I remembered swooning to in 1955. The result is a medley of Winter Wonderland, and Let it Snow, which still gives me goosebumps. How does he do it? Before I got the answer, he was out the door, and I had to tackle “Mele Kalikimaka”, a song from my childhood, and one of my favorite songs on this record. Jonathan Tunick’s wacky arrangement that suits the song down to the ground, and swings it into outer space. Speaking of swing, the title track was inspired by the great Louis Armstrong, who cut the first version of the song. I have been a fan of all things Louis for years; I have even visited his museum/home in Corona, New York. The whole house is brilliant, but the turquoise kitchen is to die.